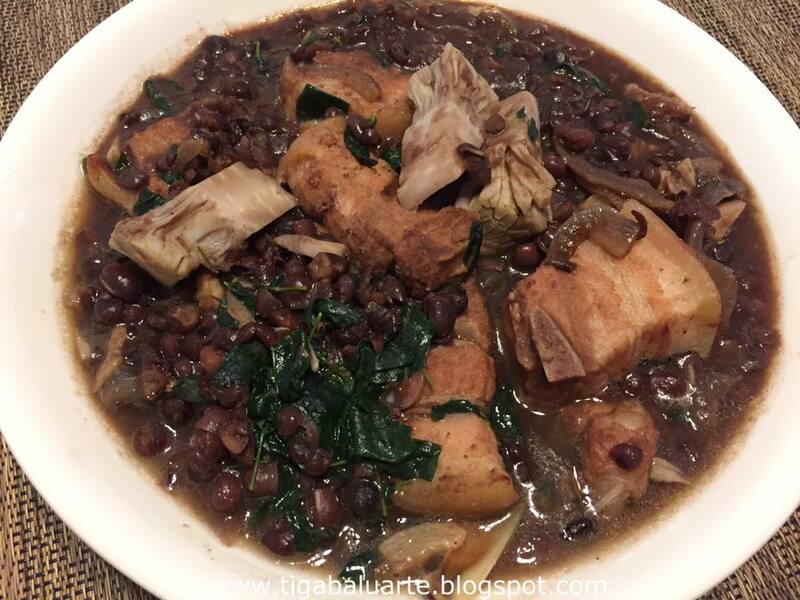 Red Beans cooked in Pork is one of my favorite way of cooking beans. 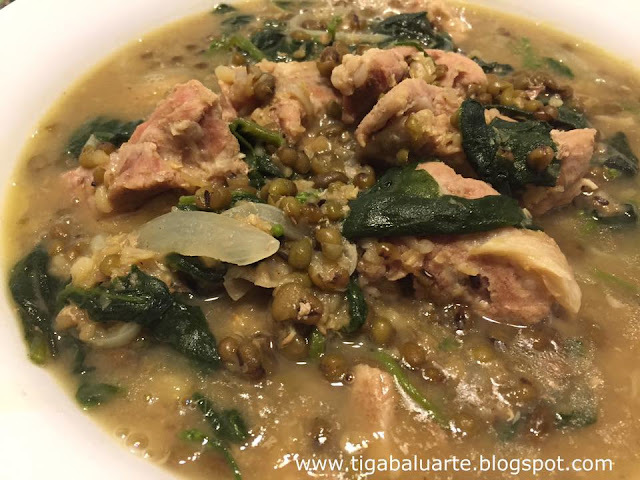 This recipe is made with red beans, pork belly, langka (jackfruit) and malunggay leaves. 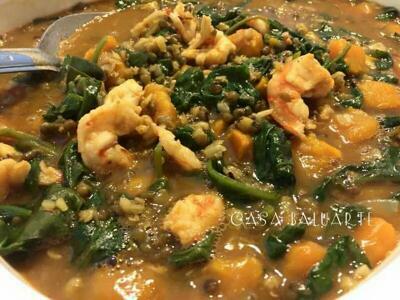 If you like beans then you have to give this recipe a try. Boil red beans and pork in 4 cups of water. 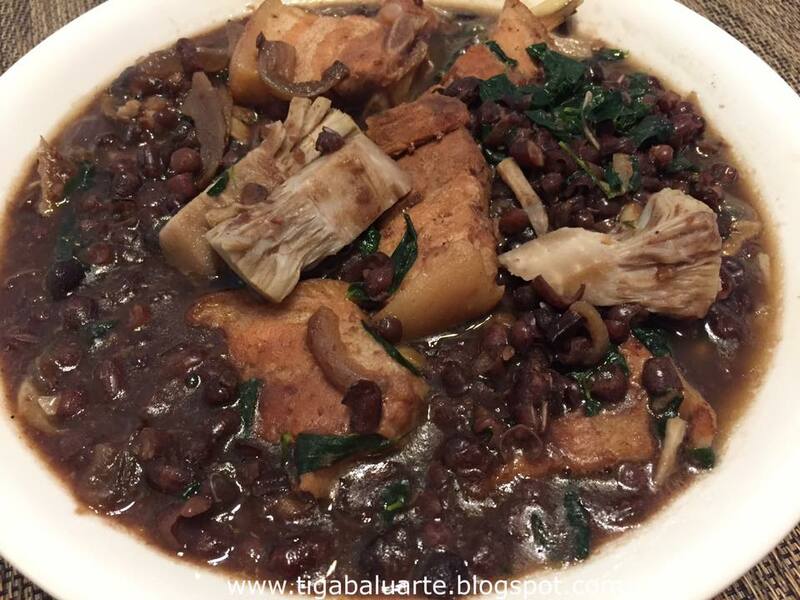 Continue boiling till beans and pork is fully cooked. Separate pork from the beans and set aside. Add more water if needed. Saute garlic, onion and lemongrass in cooking oil. Add boiled pork and sauté till pork turns golden brown. Add cooked beans and langka. Simmer in medium low heat for 5 minutes or till langka is fully cooked. Add more water if needed. Season with fish sauce, ground pepper and salt to taste. 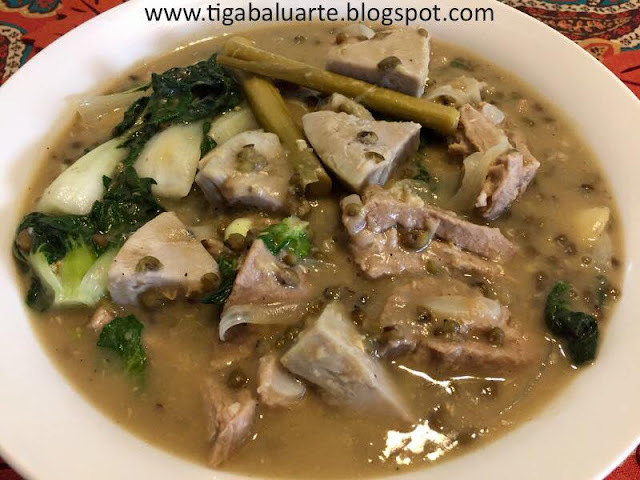 Add malunggay leaves and simmer for few more minutes or till malunggay is fully cooked. Remove pot from heat and serve hot.